This is O and his friend B coming out of the Cylch Meithrin (Welsh playgroup) this week. Don’t they just look so sweet holding hands? I’m so glad they will be in the same class in school when they move up next year. Such a cool bag! I;m a big minions fan so could not resist commenting on this! 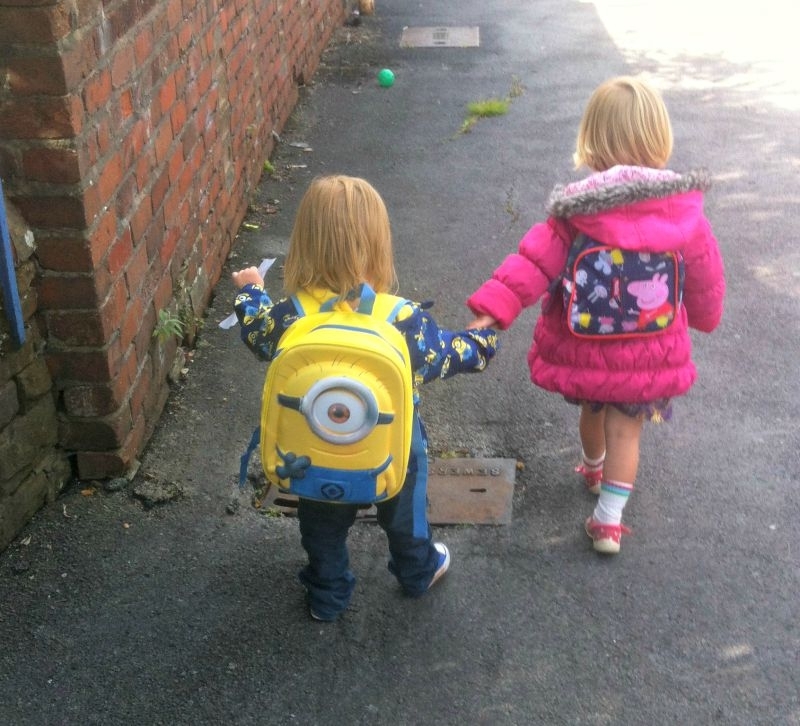 That is very sweet – and their backpacks are great too! My son has that minions coat. I love seeing pictures of kids holding hands. It so sweet seeing young friendship. love the minions backpack. that’s very sweet.